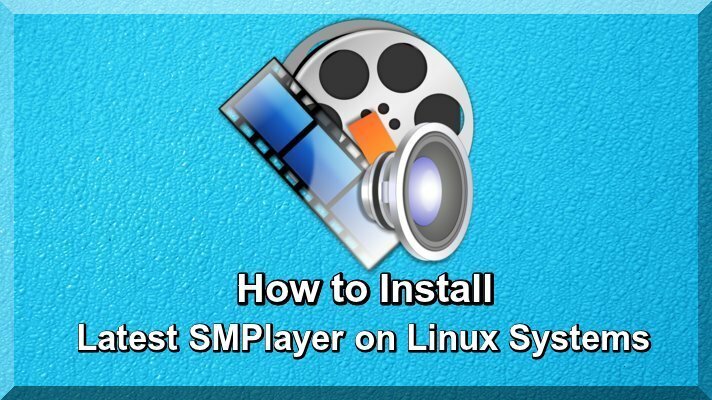 By this useful Article I guide you that how to install latest SMPlayer on latest Linux basis systems such Linux Mint 18, Ubuntu 16.04 and others. It is most popular and open source free Multimedia Video Player available for Linux basis systems and Microsoft Windows, released under GNU General Public License. This player is very different from other video player because it it not required any codecs to play movies and other stuff because it carry its own all required codecs. This is the first release it has support MPV and some other features such as MPRIS v2 Support, new theme and also 3D stereo movies and others filter. It is very useful and famous and award winning MPlayer as playback engine which is proficient of playing approximately all known video and audio formats such as mkv, wmv, avi, mp4, mpeg. One of the most interesting features of SMPlayer is that it remembers the settings of all files you play. You can play Youtube videos and it also comprises a handy tool which allows searching for YouTube videos. SMPlayer comes with numerous skins and icon themes, so you can easily modify the look of this Video Player. This player is available lot of languages such as Spanish, German, French, Italian, Russian, Chinese, Japanese, etc. This video player also have following features. You can also Install MPV Player, VLC Media Player, sView stereoscopic 3D Video Player, MPlayer on Linux Basis Systems. Use MPV base instead of MPlayer. Possibility to display two subtitles at once. Filters. Many video and audio filters are available: deinterlace, post processing, denoise... and even a karaoke filter (voice removal). SMPlayer has a better performance than the flashplayer in a web browser, specially in old PCs. Support for MKV ordered chapters. Native support for VAAPI and VDA. Improved VDPAU. Better support for taking screenshots. It can play YouTube videos. A YouTube browser is included. SMPlayer is released under the GPL license. Now install SMPalyer on latest Linux basis systems to use the following commands in terminal. This Video Player is most popular specially for Linux basis systems, and you can read lot of more tutorials about linux, first read this article.